Flying Eagles Head Coach Paul Aigbogun says his U20 squad will go all out for victory when they play tournament hosts Niger Republic in their final group game at the Africa U20 Cup of Nations on today. Aigbogun, alongside assistants Abdu Maikaba, Hassan Abdallah and Suleiman Shuaibu, took the seven–time African champions through their last training session before the game on Thursday evening, at the National Technical Centre, Niamey, and told thenff.com that focus would be on scoring the goals that would earn Nigeria a FIFA U20 World Cup ticket. The Flying Eagles have to be at their very best against the hosts who themselves require an outright victory in order to boost their chances of making the semi-final, as they trail Nigeria by two points and are level with South Africa. Needing a win to ensure a World Cup ticket against South Africa on Tuesday, Aigbogun’s wards could only manage a scoreless draw thereby handing the Amajita a chance to remain in the tournament if they overpower Burundi in Maradi today. Aigbogun is expected to stick with the defence line which is yet to concede a goal in the tournament so goalkeeper Olawale Oremade as well as defenders Mike Zaruma, Ikouwem Utin, Igoh Ogbu and Valentine Ozornwafor should all start. Jamil Muhammad and Afeez Aremu could retain their places in midfield with Alhassan Adamu in front of them although the coach might decide to freshen things upfront with Ibrahim Abubakar, Aliyu Ibrahim, Nazifi Yahaya, Effiom Maxwell, Adeshina Gata and Sweden –based Onyekachi Paschal all in good shape. Group A is delicately poised with Nigeria on four points ahead of Niger and South Africa, with two points each, while Burundi has only one point. A draw against the Junior Mena would send the Flying Eagles through to the semi finals and will see them clinch a spot at the FIFA U20 World Cup, and in this case victory for South Africa over Burundi would also see the Amajita through. However, victory for the host nation over Nigeria, and victory for South Africa against Burundi, would eliminate the seven –time champions. Also, if Burundi secure a high-margin win over South Africa, and the Junior Mena overpower the Flying Eagles, Niger Republic and Burundi would go through to the last four and to Poland. Coach Aigbogun and assistants have the benefit of having played the Nigeriens previously. Both teams fought to a scoreless statement at the WAFU Cup Tournament in Lomé, Togo in December 2018. And on Tuesday, following their 0-0 draw with South Africa, Nigeria’s technical team stayed behind at the Stade Seyni Kountche to watch Burundi rally from 1-3 down, to draw with the Junior Mena. Meanwhile, First Vice President of the Nigeria Football Federation, Barrister Seyi Akinwunmi, who is in Niger as a Member of the CAF Committee on Youth Competitions, visited the Flying Eagles at training on Thursday and charged them to go all out as it is never wise for any team to play for a draw. 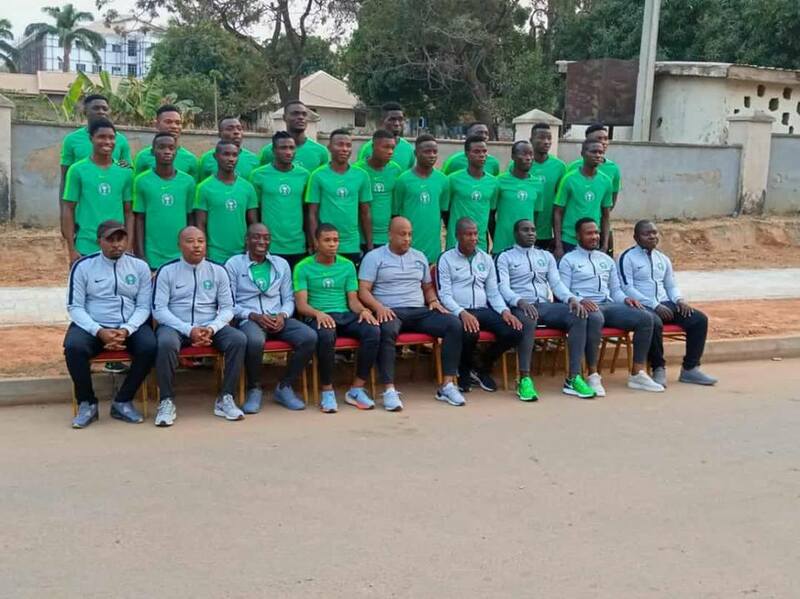 The Flying Eagles also have an additional motivation to put on their best on today, as officials confirmed to thenff.com that Super Eagles’ Technical Adviser Gernot Rohr would arrive in Niamey in time to watch the clash with Niger. Rohr has promised to include one or two of the Flying Eagles in the senior team’s squad for the 2019 AFCON qualifier against Seychelles and the prestige friendly against Egypt, both coming up next month. As it is, all four of Africa’s flag bearers at this summer’s FIFA U20 World Cup in Poland would be known today. Senegal, who play Burkina Faso in Maradi on Saturday, have already picked a ticket while the Burkina are eliminated after two losses in as many matches.